We all know that chlorine is like kryptonite to our precious tresses and is often stated as a key factor in why many of us forgo swimming as a fitness activity. However, some of us thankfully remain defiant and refuse to let this prevent us from something that is beneficial. If you swim on a regular basis it is well advised to wash your hair using a clarifying shampoo that removes build up of chlorine and other metals such as iron and copper. 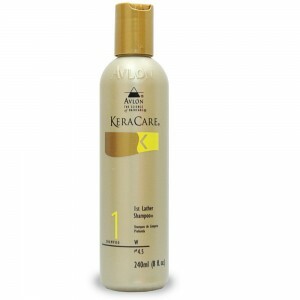 Clarifying shampoos such as KeraCare first lather shampoo are also really effective prior to and after relaxing your hair, and great for removing product build up.